Step 1: go the settings menu of your smartphone or tablet. Step 2: on this menu, you’ll have to access the function to manage the device’s applications. Step 3: search for SnapTube within the tab of downloaded apps and tap on its icon. Step 4: from here, you can control certain actions regarding the app, such as forcing it to close, managing its notifications or uninstalling it. Choose the option to uninstall the app. It doesn’t matter if you’ve downloaded the application in APK format from a source other than Google Play: once installed, for your operating system it’s exactly the same as any other. The only difference is that it isn’t connected to Google Play Services which means that you can’t uninstall it from the app store as you can do with the rest of applications installed from the official Android marketplace. 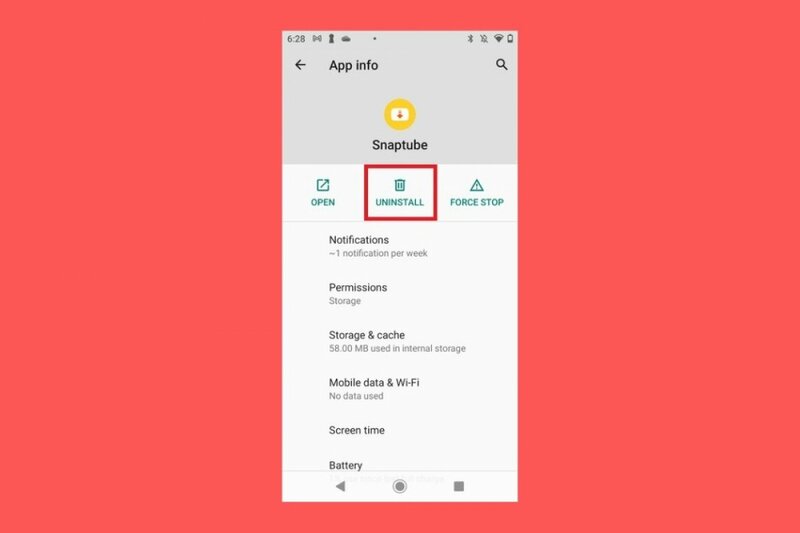 On the other hand, if you’re worried about the files that you may have downloaded with SnapTube, you should know that you won’t lose any of the videos you’ve downloaded. They will continue to be available in your device’s multimedia gallery and will open as independent files that have nothing to do with this download client. As you already know, SnapTube is an application that can be downloaded for free and that we can use to download videos from YouTube, Facebook, Instagram, and other sites and webpages. You won’t be able to find it on Google Play precisely for that reason because the store doesn’t distribute apps that allow us to download videos from the portal owned by Google. Therefore, we’ll have to resort to other alternatives.